Feathers, Fuddles and Hope. What!? Feathers: They are soft, they drift and can wander wherever, in my world they are a wonderment, they represent Part to Whole with their collective pieces helping a bird to fly, often times very pretty, possibly colorful, full of potential-representing dreams and hopes, and they are floaty-a fun word and a fine flexible attribute! I have been thinking about connectivity, the occurrences that happen and the randomness (or not) of it all. The never-ending question of…Are their Coincidences? Do all things happen for a reason, however unclear it may be at the time? 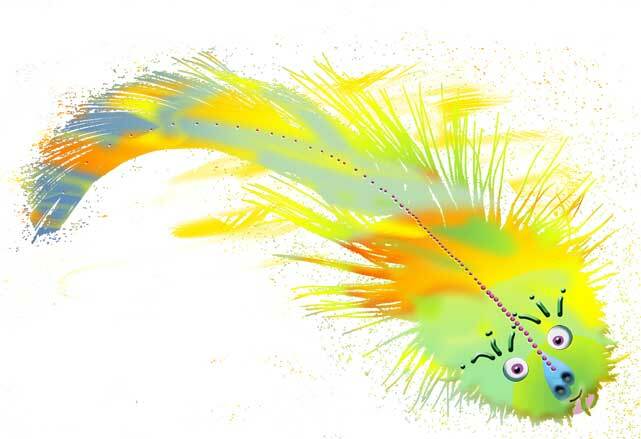 Fuddles, a character in my children’s picture book, is a protagonist with the cause being the Wonder of Planet Earth. Fuddles image became a feather from the seed of an idea that “something” could impart “goodness.” The form that the something was to take began with conversations and bouncing around ideas. I needed a physical form but I couldn’t get my finger on. Once Fuddles was a feather it all became clear. Fuddles was not only an ecological presence but also one of hope and vision. Months later I came to realize the strong connection to the hope concepts of Fuddles. Hope became a topic of much thought and conversation with many who crossed my path. In this (not so random) universe the topic of hope seems to be everywhere these days. (Or is that just my awareness and focus?) From the somewhat benign, such as the weather forecast which can’t get enough of the omnipresence Hope for (the upcoming and not soon enough for me) Spring, to the paramount news reminding us this is the anniversary of the famous Edmund Pettus Bridge walk in Selma Ala. where Hope was, and still is, a clear message. I randomly was watching a movie called Finding Normal that stated, “…and now these three remain: faith, hope and love. But, the greatest of these is love.” (apparently that is a biblical passage from Corinthians 13:13.) So there is was again, this time in entertainment. We all know the idiom of-Hope springs eternal. Indeed, Hope is sometimes the string that keeps us moving foreword in large and small endeavors. I looked up the symbolic meanings of feathers and found this. “Symbol meaning of feathers deal with ascension and spiritual evolution to a higher plane…Native American Chiefs wore feathers to symbolize their communication with Spirit, and to express their celestial wisdom…Another symbol meaning of feathers also revolves around prayer, and the Pueblo use feather sticks as they dance in prayer for rain during solstice rituals..As a Celtic symbol meaning (connected the Druids to) sky gods and (to) gain knowledge of the celestial realm…The Egyptians believed that feathers were symbolic of sky gods too. Ma’at, the Egyptian goddess of justice, would weigh the hearts of the newly dead in the underworld against the weight of a feather to determine the worthiness of his or her soul…In Christianity feathers represented virtues. In fact, an image of three feathers were made into signet rings – each feather symbolizing Charity, hope, and faith…In dreams feathers meanings point to travel or the ability to move more freely in life. 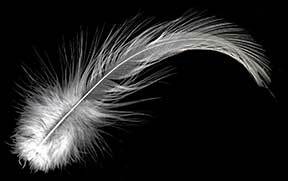 White feathers in dreams indicate innocence or a fresh start in a spiritual sense.” -(read more –website) All the above are essentially about Hope. Hope has a forward momentum, it’s about the future and thinking thoughts/dreams/desires/needs as to what’s next, regardless of how immediate or far off in the “next” may be. My question to you is as follows. It’s for further books and for my curiosity. What emotions, and words do feathers evoke for you? The Original feather of inspiration.